What is Talent Management Strategy? What are the Key Components of Talent Management? What are the Best Practices in Talent Management? Applicant tracking systems, employee onboarding software, performance management are all part of the greater talent management framework. The right talent management strategy aligns these functions to give organizations a strategic advantage. Often the terms performance management and talent management are used interchangeably. While acceptable and understood in most conversations, the reality is that the two have fairly different goals. Performance management is an assessment of employee performance as it relates to individual established goals and key performance indicators. In general, performance management processes are fairly transactional between employee and leadership, narrowly focused on the individual’s productivity and ability to meet expectations. Talent management, however, encompasses a broader company view. It takes into account the business side of people management, geared more toward driving operational growth and profit. A healthy organization is founded on talent management as a strategy with performance management as one of the principles that drives it forward. Other principles include workforce planning, recruitment, succession planning, learning and development, management structure... In other words, everything that you do to help your workforce bring business success is a part of the broader talent management strategy. Don’t Have Time to Read the Whole Article Now? 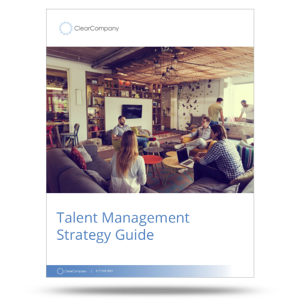 By approaching talent management in three stages — Automate, Improve, Optimize — and incorporating best practices at every step, the Talent Success Maturity Model guarantees your organization will become more competitive, more engaging, and more successful. Streamline, automate, and simplify existing talent management processes, setting the foundation for success and saving time, money, and resources. Apply best practices to hire and engage A Players by understanding and leveraging A-player profiles in recruiting, onboarding, and the entire talent management system. Build a learning strategy and create a cycle of continuous talent improvement, ensuring an increased ROI in your HR software and your people. Visit our Best Practices Library for insight, strategy, and best practices from experts and thought leaders to help HR and talent management leaders shape their company’s path toward hiring, developing, and retaining more A Players.? Sadly, most companies accept it as inevitable that A Players will comprise no more than a small minority of their workforce (typically, 10 to 20 percent). That’s another way of saying their top performers represent a statistically random sample of the population. What’s an A-player and why does that matter? A Players are the top performers that not only have a positive and measurable impact on your business, but whose traits and competencies you want to define and apply to your hiring and talent management processes. But just knowing what motivates your A Players — assuming you can accurately identify them — isn’t enough. You need to have the right systems and processes in place to recruit, grow, motivate, and retain more A Players. That means applying best practices to systems and processes. Each functionality has a series of maturity levels — Automate, Improve, Optimize — moving your organization from foundational to strategic capabilities in each function. Most companies will likely not perform all of the functions at the same level. Your ability to find, recruit, train and manage A Players is what drives the performance of your organization. If you have a good talent management system and process, you can feel confident that you will have a profitable company. Unfortunately, it can be complicated to develop, maintain and improve upon this process. While technology certainly can help navigate a lot of the obstacles, if it’s not designed or set up to help you track, manage and predict your talent strategy, then is it really helpful at all? Luckily, the market is full of talent management technology and tools from which to choose. It’s important to understand just how crucial a talent management system is to managing your people and processes effectively. You can, and many companies do, only choose to work with one or two of the mentioned tools. However, there is a greater chance for costly gaps. Are they setting and hitting their professional goals? Do they like the work they do on a daily basis? Do they connect with their leadership, coworkers or clients/customers?